Wow. Just one day into the contest and I’m already blown away by your images! I know it’s going to be hard to choose since there are a bunch I love. Thankfully I have my husband to help me with the picking (I’ve been sharing your headers and he’s impressed too). 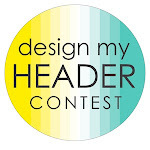 If you’re still scheming over what to design for the contest, let’s aid you with helpful resources. And for that, let’s go to one of my favorite online design bloggers….Jessica from How About Orange. I’ve been admiring her site for years; it was one of the first I followed. And if I’m ever looking for design inspiration, info on cool new fonts, or I feel like taking a “design personality” test, I know How About Orange will have it. She never disappoints! Jessica is a designer at heart (and by trade) but she also sews, crafts, photographs, and shares a wide variety of projects on her site. And it’s not limited just to orange. Jessica loves color–and paint chips lately. She whips up the coolest projects with paint swatches and office supplies. But the real kicker is her latest fabric line: Outside Oslo. Yep, she’s also a textile designer. Don’t you love her? (You can purchase Outside Oslo here and read about all her textiles and ribbons here). 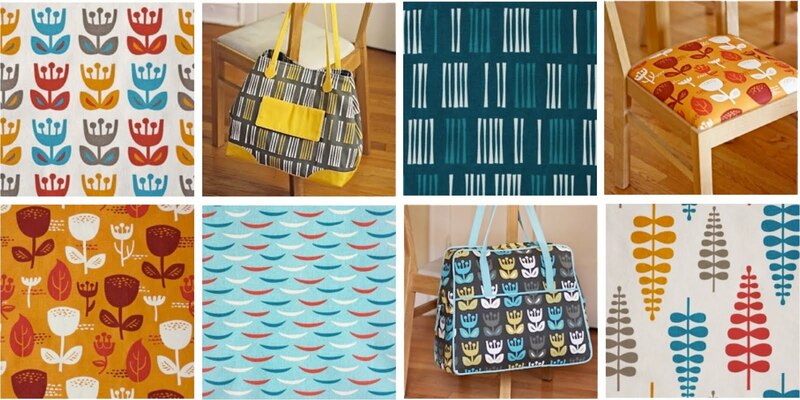 Her fabrics have been featured in books, magazines, and all over blogland. I’m sure you recognize those happy designs. The gray/blue tote below, made by Jessica’s mom, just wants to jump into my arms. I’m certain. Seriously, Jessica is brilliant at what she does. And she’s going to share some of her genius with us today. So take it away Jessica!…. Greetings, everyone! And congratulations to Dana on MADE’s three-year anniversary. Many bloggers never make it to a three-month anniversary, so it’s an impressive accomplishment. The internet is a wonderland of free resources if you know where to look. You might consider using a stock photo in your header. Any of Dana’s images are fair game, or you can browse for free stock photos at Morguefile.com, a public image archive of high resolution photos. Stock.xchng is another source for freebies. If you’d prefer textural background images instead of photos of objects, take a look at Lost and Taken, a gallery of textures free for personal and commercial use. A repeating pattern can be fun, too. At both Pattern Cooler and Japonizer, you can select a pattern, recolor it, resize it, and download a file that will tile seamlessly. BgPatterns is similar but adds a texture to the background, and Tartan Maker is all about… you guessed it: plaid. And now you’re off and running. Happy designing! As always, you’re a wealth of resources. Don’t forget to watch Project Runway (and the special before it) tonight!